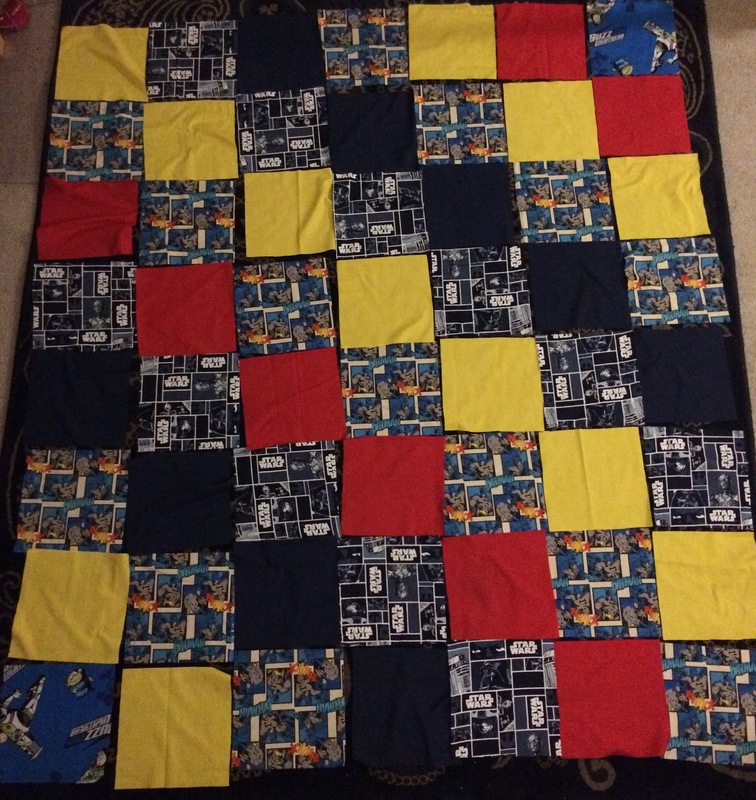 The Wee Boy has been very patient about his long-promised quilt. Once in a while he’ll ask me sadly, “why aren’t you making my quilt?,” to which I make some excuse about lack of time or other, more urgent projects… Well, today the excuses ended! I started on the quilt and finished the evening with the top all cut out. 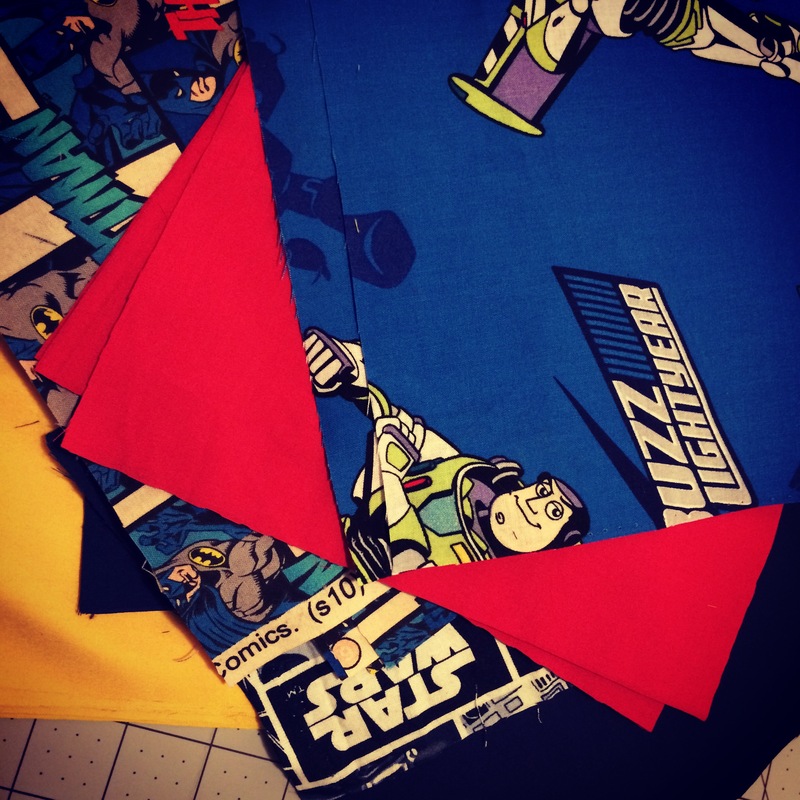 The pieces are 8.5″ by 8.5″ so it shouldn’t take too long so sew up. 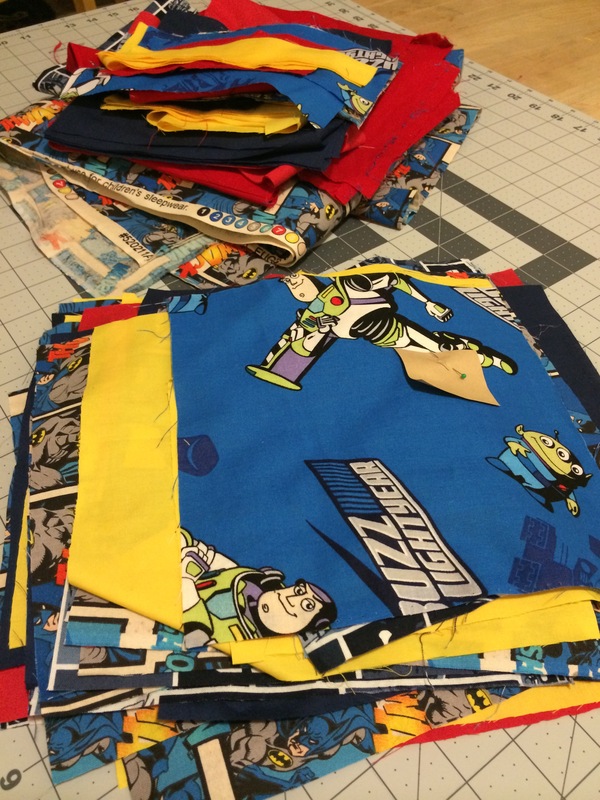 Then I get to decide the back design with the leftover fabric, which is more on the printed side than solid. So we’ll see how that goes. Have I mentioned that it’s a million times easier making a quilt when one has a cutting mat and rotary cutter!? I don’t know how I made it through my first quilt alive! !